Which one is the best for fuel economy? With the cost of living on the up and filling up at the pumps being a key ingredient in most families’ budgets, picking a car that’s not too thirsty is becoming ever more important. That gave us an idea – which of the UK’s top 10 best-selling cars is thriftiest on fuel? We’ve delved through the list to find the most economical version of each and put them in order of miles per gallon. Of course, you should always take manufacturer combined cycle fuel economy figures with a very large pinch of salt – it’s rare to get anywhere near them in everyday driving. They do offer a good way of comparing between different models though. Unsurprisingly, the most fuel-efficient models are all diesel and all but one on the list will be free to tax thanks to low CO2 emissions. Showing just how far cars have come over the past few years, there’s an ultra-efficient version available of every single car on the list. Now, let’s reorder that list and see how they do for fuel efficiency. 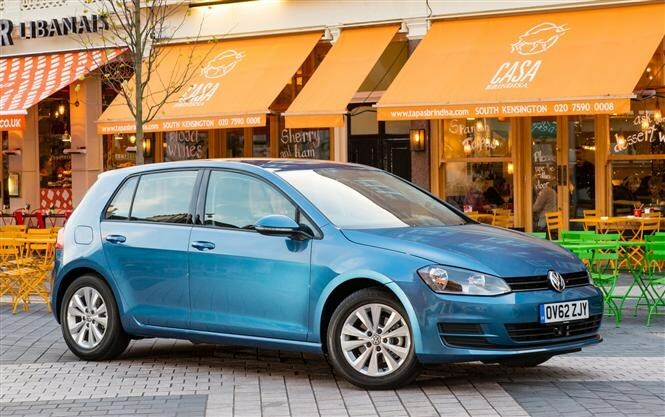 VW’s BlueMotion models have become famous for their parsimonious appetite for fuel and ultra-low CO2 emissions, and the Golf BlueMotion is no exception. Powered by a 108bhp 1.6-litre diesel motor, Volkswagen claims amazing average fuel consumption of 88.3mpg. At the time of writing any car that dips under the 100g/km CO2 emissions threshold qualifies for free VED tax, and this Golf will be safe for some time to come with a rating of 85g/km. Those figures are the same for both three- and five-door versions. The BlueMotion makes its savings partly from aerodynamic alterations and lowered suspension. A colour touchscreen, DAB radio and Bluetooth are standard. Turns out the UK’s best-selling car is also one of its most efficient. Pick a Fez with an ECOnetic badge on the boot and the 1.6-litre TDCi diesel engine under the bonnet and you’ll benefit from a brilliant 85mpg average and 85g/km carbon dioxide emissions. Those figures are unchanged whether you go for a three- or five-door body. That engine is available in various trims, from the relatively basic Style (electric front windows and central locking as standard) to the plush Titanium (more or less every bit of kit you realistically need). 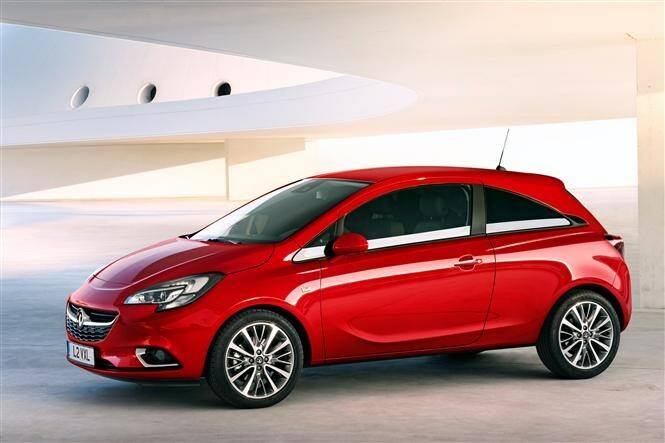 Despite having been around in its current form since 2006, the Vauxhall Corsa shows few signs of slowing sales and is still one seriously popular car with UK buyers, especially younger drivers. The good news is Vauxhall has been keeping up with engine development and the 95bhp 1.3-litre diesel ecoFLEX powerplant with start/stop can return impressive fuel-efficiency and CO2 emissions of 85mpg and 88g/km respectively. It’s available with either three or five doors. Other engines in the Corsa line-up are cheaper to buy, though. The mature, sensible, straight-laced Polo isn’t an inspiring car – but it is a very good one. No surprise it’s so popular with UK buyers. And that level-headed approach pays dividends at the pumps if you choose the 90bhp 1.4-litre TDI diesel with plus-80mpg and sub-90g/km figures. Also an efficient choice is the 1.2 TDI BlueMotion, which itself averages a claimed 80mpg and emits 91g/km. 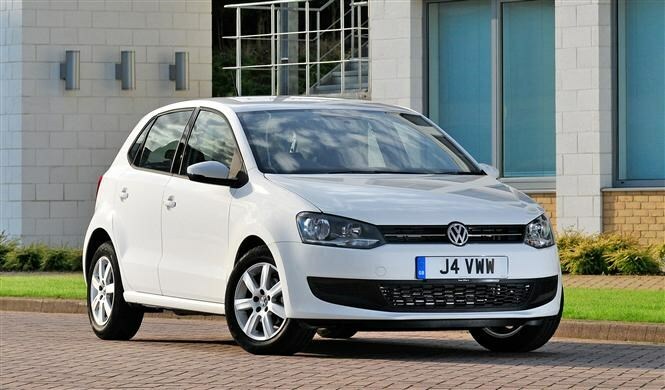 Whichever trim and engine you choose, the Polo is pricey for a little car though. 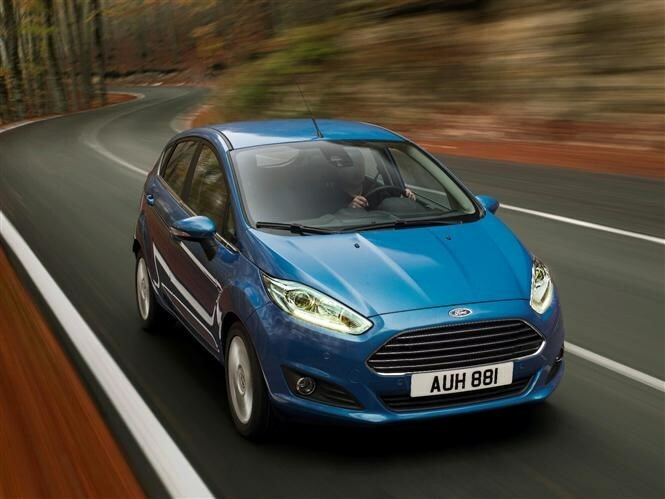 In the world of mid-sized hatchbacks, the Focus is still a benchmark product. Tidy handling, decent kit levels and, if you choose the 1.6-litre TDCi diesel ECOnetic version, excellent fuel economy too: 76mpg is not to be sniffed at, and 99g/km CO2 emissions mean free VED tax for the time being. Other engine choices are cheaper to buy, however. The most efficient ECOnetic engine is available with several equipment grades, including Edge (a bit stingy on kit), Zetec (good value with digital radio, Bluetooth USB connection and heated windscreen standard), or Titanium (packed with all sorts of equipment). All current Focuses are five-door only. 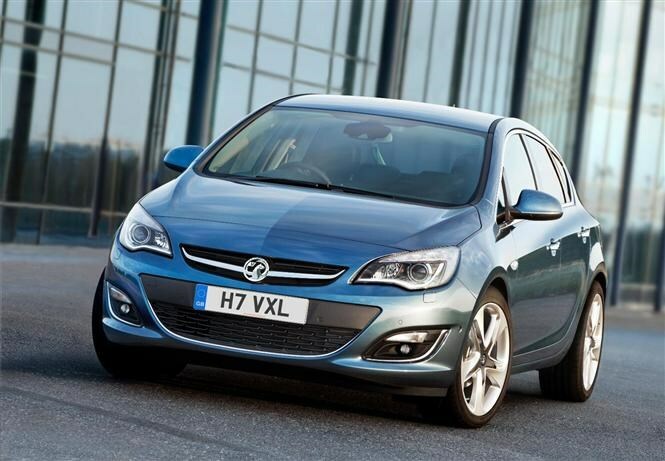 Vauxhall’s new ‘Whisper’ 1.6-litre diesel engine has been designed to lower tax bills and keep the five-year old Astra competitive against the likes of the Ford Focus and Volkswagen Golf. It’s available with two power outputs: 108bhp or 132bhp. Pick the lower-powered option and you’ll enjoy claimed average fuel consumption of 76.3mpg as well as tax-dodging 97g/km CO2 emissions. We saw far lower figures when we tested the car recently though. TwinAir 70mpg 92g/km (or slightly better with Dualogic automatic gearbox). Figures the same for 500C. 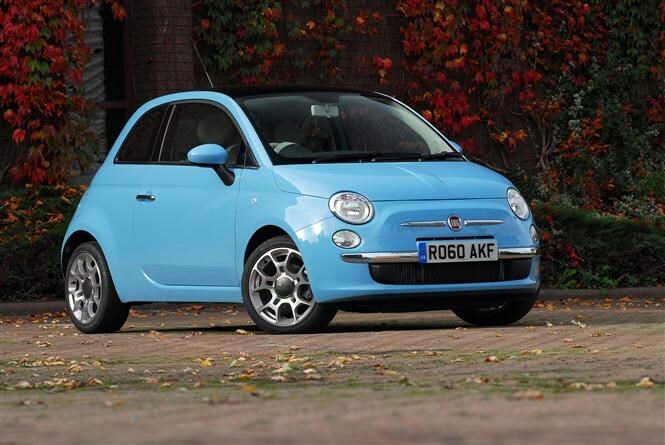 The Fiat 500 has many fans and the good news is that buyers charmed by its retro styling, nippy handling and easy-to-park dimensions won’t suffer when the time comes to top up its tank (and with the relatively dinky 35-litre tank that’s a relatively frequent occurrence). Pick the 1.3-litre diesel and the figures are impressive: 76mpg and 97g/km but petrol fans needn’t panic as the clever two-cylinder TwinAir is pretty good too at 70mpg and 92g/km (or even better figures with the Dualogic automatic gearbox). Sun worshippers will be pleased to hear all those figures remain unchanged for the retractable roof Fiat 500 C.
Seems everyone loves the Nissan Qashqai – the big crossover is one of the most popular reviews on the Parkers website. Despite its bulky bodywork, it’s a surprisingly fuel-efficient car, mostly because the majority of the range are two-wheel drive and it has more in common with mid-sized hatchbacks than mud-plugging 4x4s. Best on fuel is the 1.5-litre diesel, averaging a superb claimed 74mpg and chucking out less than 100g/km of CO2. That engine’s available with every trim, from the base Visia to the top Tekna. Volkswagen Golf not quite posh enough for you? 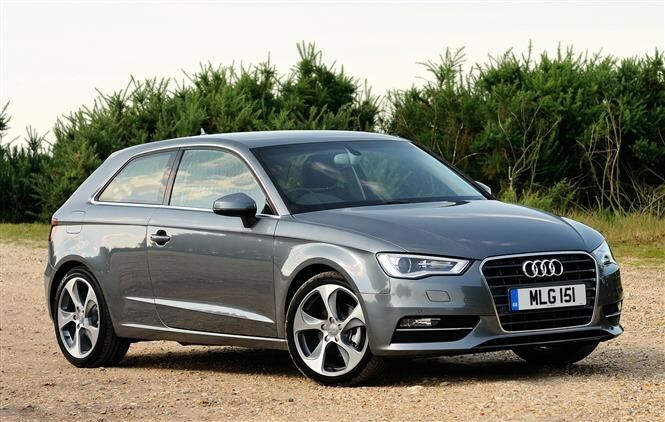 Go for its premium brand cousin, the Audi A3. A beautifully designed interior, refined driving manners and plenty of space for passengers and their luggage makes it a brilliant all-rounder. Best choice for fuel economy is the 110bhp 1.6-litre TDI diesel in manual trim, averaging 74mpg and emitting 99g/km of CO2. The same engine doesn’t do quite so well when equipped with the smooth S Tronic automatic gearbox, though it’s not far behind at 72mpg and 102g/km. Figures in our database are unchanged for the SE, Sport, and S Line trims although in reality the more expensive trims’ larger wheels would probably hurt fuel economy. 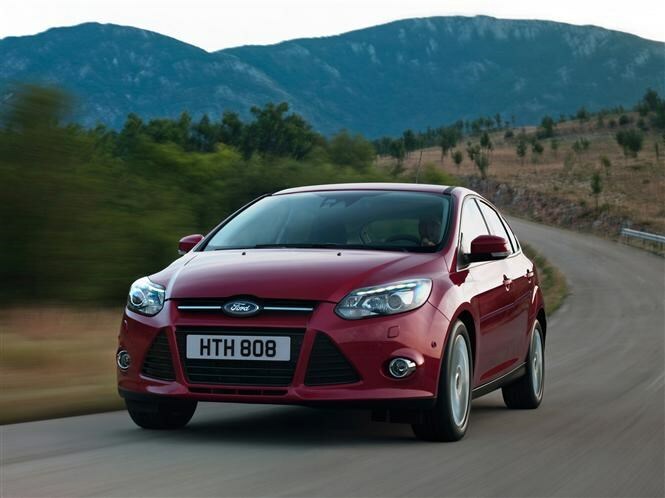 Figures are also the same whether you choose the three-door hatchback or five-door Sportback. It may occupy last place on this list, but that doesn’t mean the 3 Series should hang its head in shame. In 320d EfficientDynamics trim, it’s extremely efficient given its size and performance. 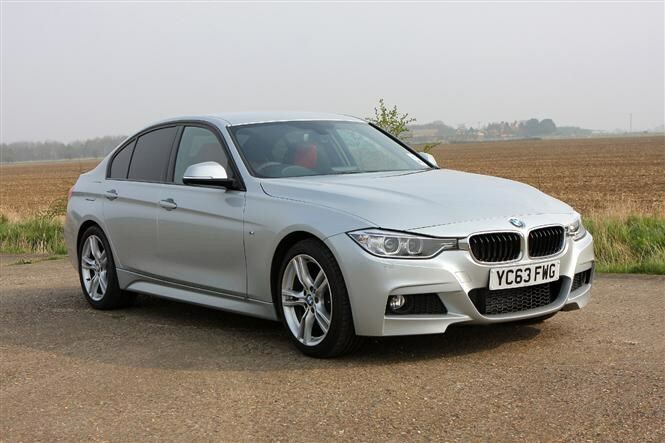 A 2.0-litre diesel engine under the hood with 182bhp makes it a genuinely quick car, and the handling is as beautifully balanced as the rest of the 3 Series range. Carbon dioxide emissions of 109g/km mean it’s the only car in the list that’s not free to tax, but it’s no biggie – it’ll only cost £20 a year at current rates. The only saloon car in this list, it’s also the most expensive with the 320d easily jumping the £30k barrier if you spec a few choice options. 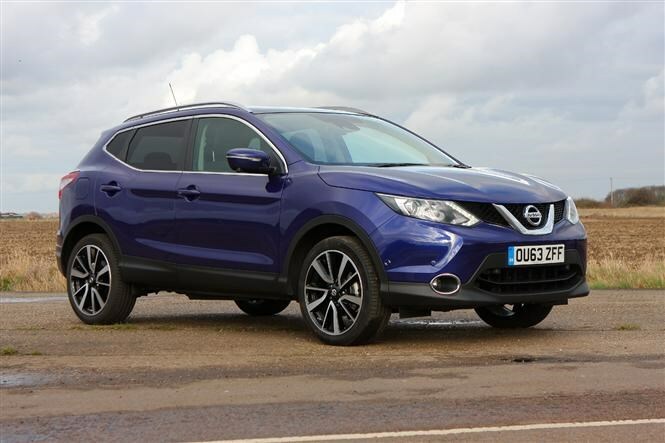 If you have your eye on any of the above as your next family car, check out the latest deals and offers in our cars for sale section here. Interested in leasing? To help you find the right car leasing deal, Parkers has gathered some of the best leasing deals for you to search for and compare here.